Jim has a degree in Society and Justice from the University of Washington. He started out in law enforcement with the King County Police (Sheriff) for a short time before returning to law school. He spent over 30 years as a prosecutor handling criminal matters of all kinds up to and including the murder of an officer. Jim has taught at the police academy in Burien, reserve academies, for various industries such as the banking, retail theft, and other groups. In addition, he regularly conducts law enforcement, attorney and community trainings on investigations, legal updates, and labor issues. His cases have been highlighted and used by the National White-Collar Crime Center (NW3C) and the National District Attorneys Association in the national training programs. Jim has handled and tried countless serious and complex felony cases including a conviction for the murder of a deputy sheriff. He has experience with criminal investigations and worked with officers in specialized police/prosecutor units. Jim has defended officers in federal court against civil rights and excessive force claims. While recently handling a matter for the Fraternal Order of Police-Legal Defense Fund, he worked with investigators to exonerate an officer against false claims. He used his experience to convince investigators and prosecutors in that county that the complainant could be prosecuted for felony malicious prosecution. He then appeared and argued in the criminal case on behalf of the officer. The complainant pleaded guilty to felony malicious prosecution for making the false report. 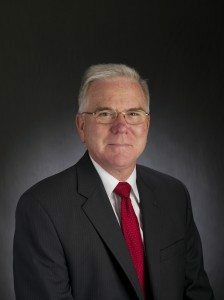 Jim has written and successfully obtained passage of numerous pieces of legislation used by officers and prosecutors every day in Washington including changes to statutes of limitations, vehicular assault/homicide, ID theft, protection orders, and he wrote and obtained passage of the criminal business records act and other laws. Jim is licensed in Washington, Oregon and Federal courts. He has been a guild member and guild officer. In his spare time, Jim is a Rotary Member, and serves on the Board of Directors for several charitable organizations.